Having a child going to Primary One the 2nd time around my feelings this time is different from the time I felt when Monkey boy was entering Primary One. This time being experienced I feel that I am more relaxed and not as anxious as before. I do know the regime and what will be expected of Doggie boy once he starts his new school year in January. Even though you try your best to fully prepare your child you too need to prepare yourself too as a parent We will never know if our child will be able/ be unable to cope until he enters school proper. Instead of stressing about the unknown there are some ways which you as a parent can prepare yourself mentally for this major milestone in your child’s life. Here are four tips for all parents. Learn to let go slowly. They are now of age to go to a “Big Boy” school and it’s time to let them exert their own independence. You cannot serve them hand and foot as they are old enough. They should be able to go to the toilet on their own and feed themselves.Let them try and do things by themselves and remind yourself that you need to have a “hands off” attitude in certain areas. 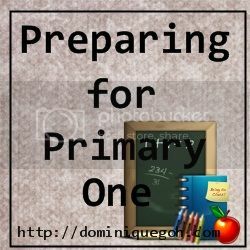 Going to Primary One need not be a traumatic experience for the parent. Do not make changes all at one as it can be really overwhelming. Do give allowances for impending changes in your schedule and if necessary do a dry run during the school holidays before term starts.For me Doggie boy will be in the afternoon session next year so I do not really have to wake him up earlier then usual but he will have a different study schedule come 2013. There will be study sessions before and after school for him and he will be on the schedule which Monkey boy is currently on. I’m slowly getting him accustomed to the new schedule by putting him on the schedule come December. Give yourself time to get use to the adjustments which you may need to do with your own schedule. Sometimes your original schedule or plan may not work out and you will need to iron out the kinks in it to ensure that your plan flows smoothly come the new school year. Remind yourself that it’s important for you to be calm and focusedKids are ultra sensitive and do feed off both our positive and negative vibes. It is important for them to know that you have confidence in them and they will be able to take care of themselves in school. With them knowing that you believe in them and are confident that they will do well they too will believe in their abilities and perform as expected. Do you have any other tips to add in to this list? 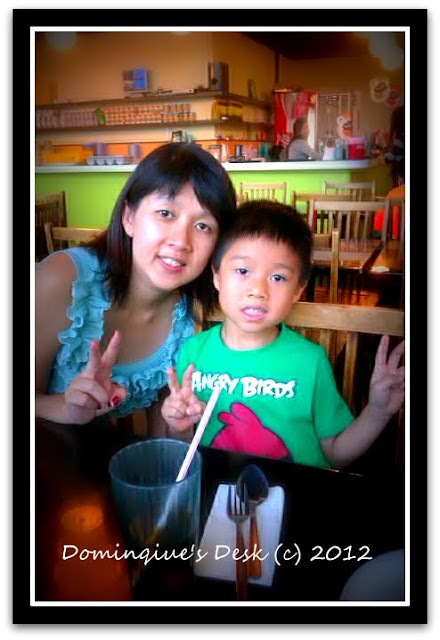 In the next installment we will be having another guest post by another mum ~ Suhanya , a mom of a boy who is currently in Primary One. What great advice! My son will be starting grade 1 in April, and we just went for his health check for it today. Very exciting but no need to get over excited with your advice! My main memory of that Big Milestone day, was how cute my daughter looked in her new pinafore, and the mixture of uncertainty and pride on her face. She was a big girl now! I also remember that she took it better than I took my first day, all those years ago!